When it comes to telling stories about study abroad, repetition is a good thing. Our goal at Via TRM is to engage #EveryStudent in global opportunities. One of our favorite conversations is how to hack the field of communications and marketing to achieve that aim. We believe that marketing is a powerful tool for achieving ambitious goals in study abroad. Goals such as doubling the number of students who go abroad by 2020. In previous posts, we’ve talked about how your Study Abroad Office is a brand. Every brand has a story to tell, and the effectiveness of the brand is directly related to how compelling that story is. One huge advantage that those of us in the field of international education have? There is no lack of inspirational stories to share. The challenge in our increasingly digital world is HOW we share those stories. So you have spent some time honing in on your brand. You know your audience and your core messaging. Now what? A core tenet of communications professionals is that repetition works. If you say something enough, people come to think of it as truth. There’s even a term for it: the “illusion of truth.” Repetition is one sure-fire way to make sure that your audience is familiar with what you do. Think for a moment about some of the biggest brands you know. Nike. Amazon. Disney. When you think of these brands, what immediately comes to mind? For me, it’s Nike = Just do it. Amazon = Customer service. Disney = Joy and childhood. Now, take it a step further. What feeling is evoked when you think of each of these brands? I’d venture a guess that you can name a specific emotion that comes to mind. How do these brands communicate their messages so effectively that millions of people have similar ideas of them? They repeat themselves. Constantly. Nike sponsors athletes who represent them. They take out ads during sporting events and their imagery is consistent and compelling. Every time Amazon talks about themselves, they start by talking about their clients. Disney evokes a sense of magic and childhood in everything they do, from their commercials to the font of their logo. Bounty paper towels are the “Quicker Picker-Upper.” L’oreal is “Because You’re Worth It.” Western Illinois University’s study abroad office communicates that students can “Achieve Their Dreams” when it comes to study abroad. You can consistently communicate your brand through more than words. Incorporating imagery, video and multimedia into your approach helps you spread your message. 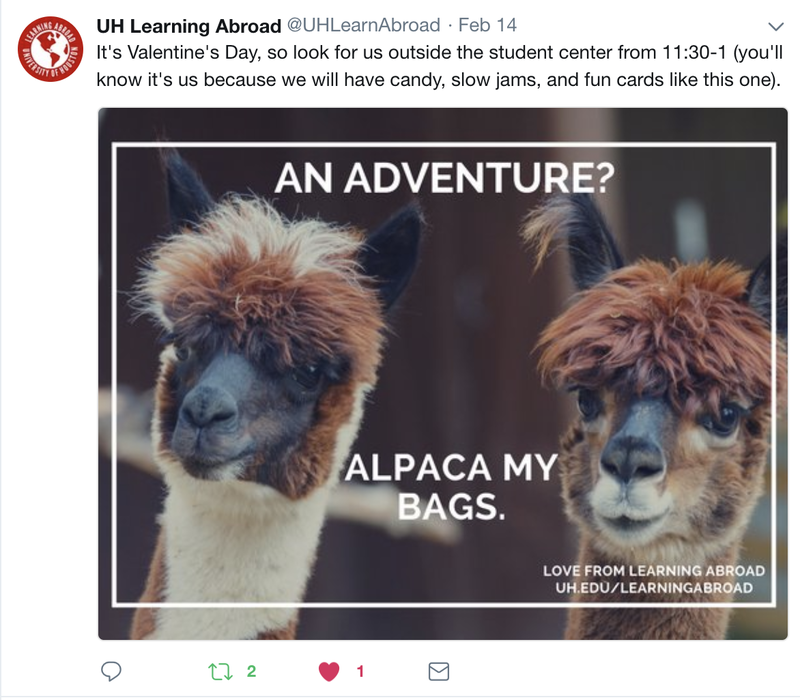 The University of Houston’s Learning Abroad center does an amazing job of incorporating light hearted visuals into their social media messaging. 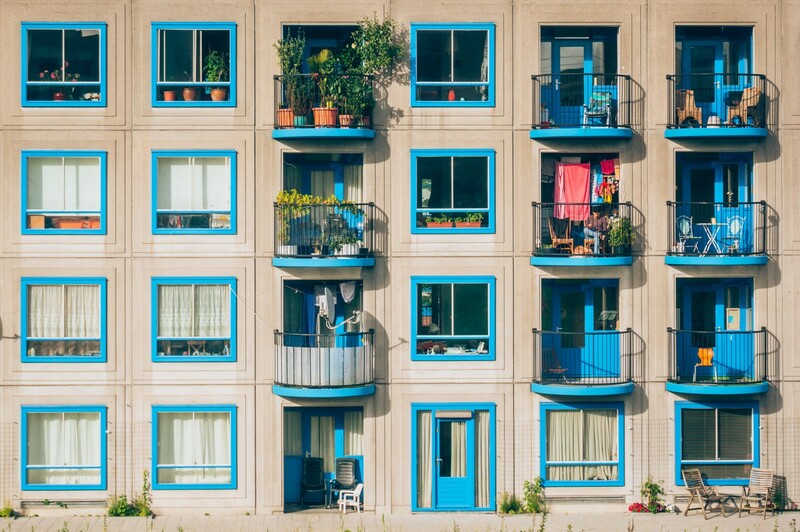 Multichannel marketing, or reaching your audience through a variety of channels (such as social media, email and print) is a term that’s almost fallen out of fashion, because, these days, if it’s not multi-channel it’s not really marketing. In 2017, the average person spent over 4 hours on their phones. That’s A LOT of time. Share your core message in as many places as you can. An advantage that many study abroad offices have is that you have a physical audience who is on-campus. Your channels can include visiting classrooms, capturing email addresses and following up through your CRM. Or, in our case, TRM (Traveler Relationship Management). What resonates with your students? We’d love to know your messaging. Share on social media #EveryStudent.